What most parents do, is to pay much attention to the design and furniture arrangement of the living room and kitchen spaces, but they seem to ignore the need for inspiring and bright interiors for their kids’ rooms. Children’s room is a place to sleep, play and learn, but it is also an area where they express and develop their passions, identity and emotions. If you are about to renovate your home, maybe you can make your little one’s world more beautiful and inspiring. Be sure that they will reward you if not with a good behavior, then with the heartwarming looks of happiness in their eyes. Gain ideas of creating a colorful and exquisite ambiance with these cool carpet design concepts. 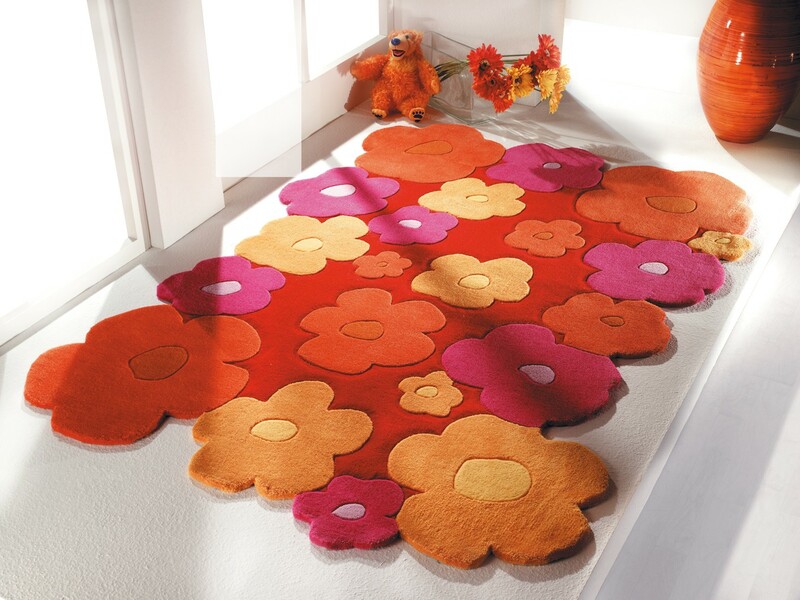 For your little princess choose a more girly and delicate carpet design. This floral concept is both bright colored and clean at the same time. The array of colors would fit perfectly in a white, gray, blue and yellow painted interior walls and furniture. The mixture of beautiful texture and bold colors makes this rug a stylish addition to the children’s room, the playroom or even to a shared space like the living room or the office. Depending on which side you are watching, you will observe either flowers or pencils. 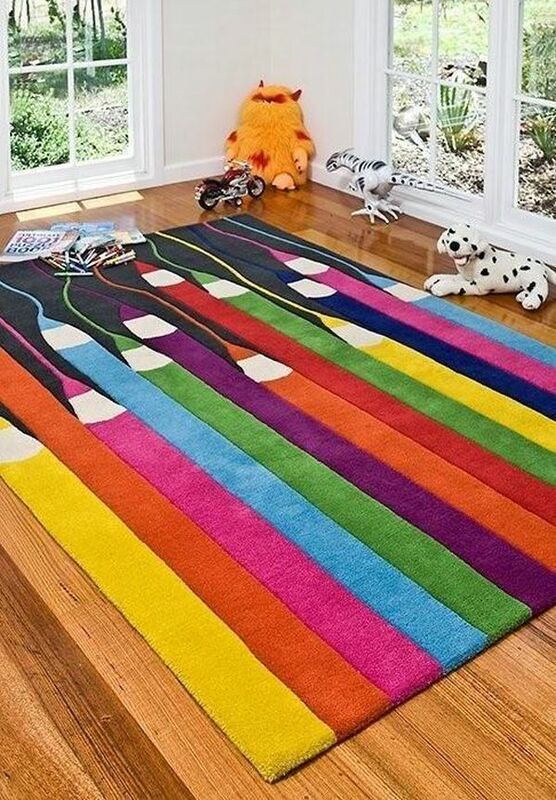 The creative design of this cool rug provides great opportunity for your kids to unleash their imagination by creating different color combinations and shapes. Best thing is that the flexible design of the carpet can fit any room, no matter the shape and size. If you want to rearrange the furniture, just reorder the separate parts of the rug to match the new conditions. Owls appear to be very trendy lately. They are a preferred element in the fashion industry, as you can see them printed on clothes, jewelry, or even on couch pillows, wallpapers and pretty much everything else. Why not make the girl’s room look more modern and sophisticated? She will love the combination of saturated pink color and pied, cheerful owls. If your children have a talent for music, or simply enjoy listening, then this round carpet will perfectly satisfy their musical passions. It is a great accessory for spacious rooms, since its shape and design suggest it should not be covered with furniture to reveal its full beauty and elegance. Let the joyful games begin now! Turn your young lady’s room into a comfortable playing area with this cute hopscotch rug design. The endless, enjoyable playtime is guaranteed. When she invites a friend of hers in the room, you can forget about their existence — so much calmer and immersed in the game they would be. And you can enjoy some time for relaxation too. Isn’t this set of plush armchairs, table and rug super cute? I think it is the coolest way to make the kids’ spaces warmer, more pleasant and cozy. Your little girl will feel like living in her own place, where she is the master and she decides how to arrange the pieces of furniture. Pacman’s in the house. And he brings along high spirits and joy! 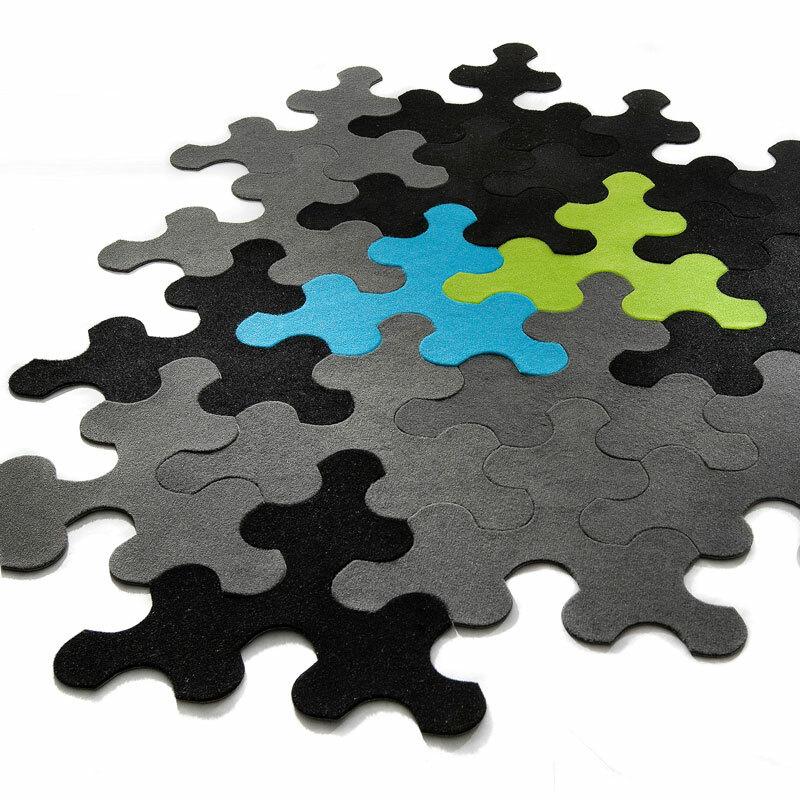 Designed in bold, saturated colors, this rug design is clean and simple at the same time. 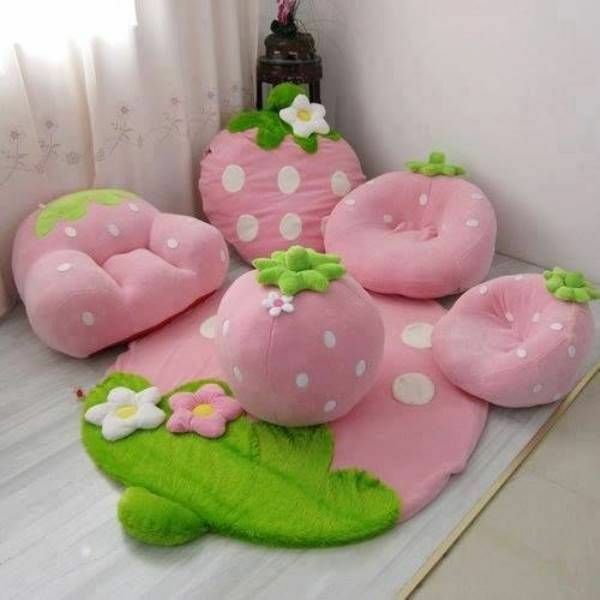 It will surely turn the children’s room into a more pleasant and comfortable place.